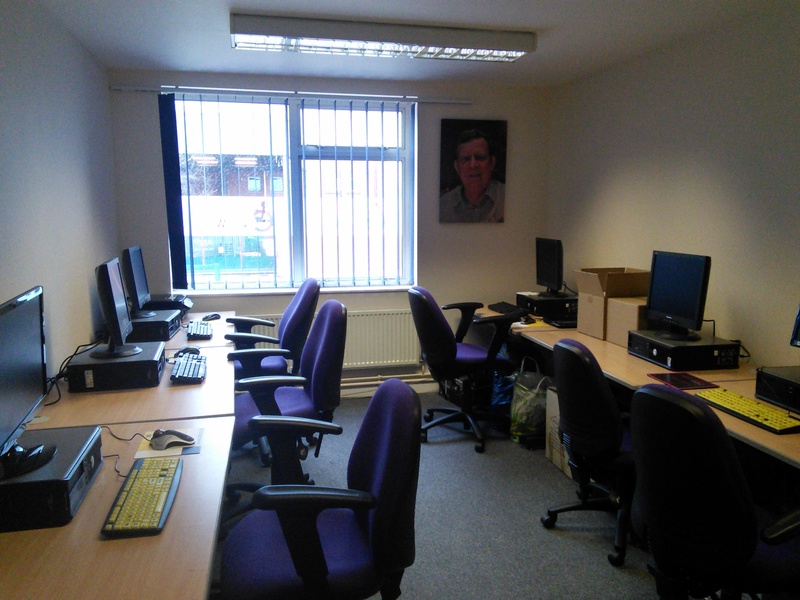 Here at Enabled Works we also offer Room Hire for local businesses and community groups at very competitive prices. (with negotiable discounts for multiple or programmed bookings made in advance). Upper rooms are fully accessible via our recently installed disabled access lift. We currently have 3 rooms available with a kitchenette area for self service drinks if required. Refreshments can be provided on request; projector and flipchart hire can be arranged at the time of booking. 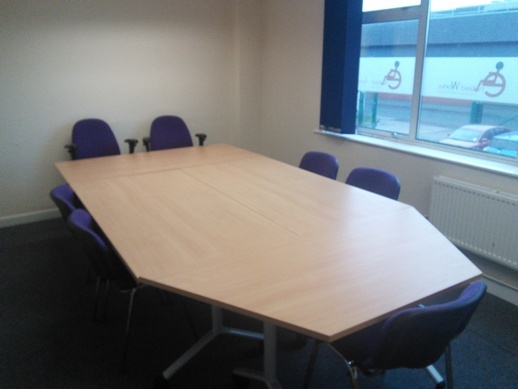 This room comfortably seats 20 boardroom style (as pictured) or 24 in classroom style. 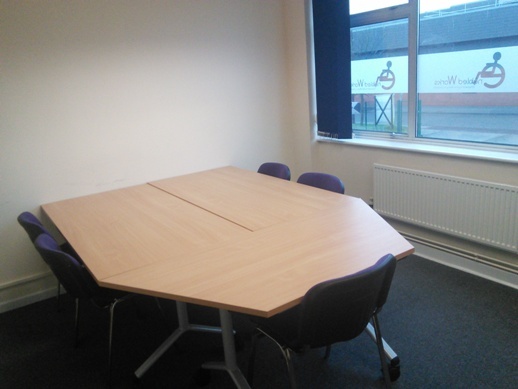 A smaller break-out room is also available seating 6-8 for more select groups, interviews, individual consultations, examinations etc…. 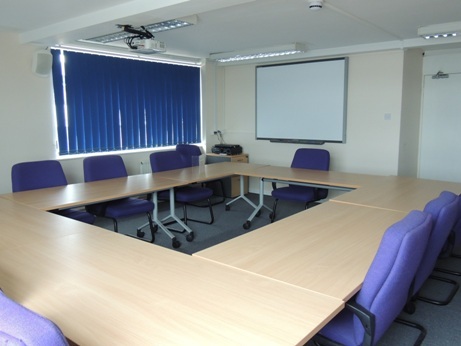 Seating a maximum of 10-12 in comfort the training room is ideal for smaller groups, with access to a portable projector and flipchart if required ideal for small group discussions.